Large Popcorn, No Butter: Potiche: Who Thought Feminism Could Be So Adorable? Potiche: Who Thought Feminism Could Be So Adorable? So I went to the gym today for the first time in about a month, and you know what that means. Yes, yes, more movies for me to feast my eyes upon so I can endure a half hour on the elliptical, yay! Today's unexpected gem was a French film called Potiche (roughly translates to "Trophy Wife"). Probably the most adorable movie about politics that I have ever seen. Taking place in 1977, a French housewife named Madame Pujol (Poo-jole, guys) is called upon to take over her husband's umbrella factory. Her husband, quite unwell following his kidnapping by members of the umbrella factory union, lays dormant for three months while she manages the factory's inner workings. Usually spending her time taking care of a household and writing poems, Madame Pujol is unused to the business world, but takes to it easily. The efficiency with which she manages the umbrella factory in her husband's absence causes the greedy guy to take extreme measures to win it back for himself. What she does as a result is pretty cool. Also, jeez, look how amazing Catherine Deneuve still looks??? This was a great film for feminism. It adresses the fact that men and women are different, but that sometimes this can be a good thing. Madame Pujol loves beauty and has a definite sense of humanity, two things that her husband definitely lacks. She also helps the factory run smoothly as a result of her respect for everyone, and by finding a job that suits everyone's personalities. Even though she begins the movie as a sort of absent-minded housewife, she ends if as a powerful contender for the political community. Pretty cool for the 70's. Additionally, hints to her indiscretions as a younger housewife remind the audience that sometimes women and men are very much alike, if not always viewed by society in the same light. While her husband traipses around town with different girls on his arm and even has an affair with his secretary, Mme Pujol is so discreet about her own that her husband literally does not believe her. I also love the nostalgic spin on the filming style. Dual shots fill the screen as we see her jogging towards the camera in one shot above another side shot of her feet running. The beginning of the film also is very bright and very opulent, calling to mind the movies of the 60's, while the latter half brings attention to the workers and to the reality of what things are. The music is cute, too. Also these two dance on a lit-up disco floor. Frealz. All around good fun and important message. 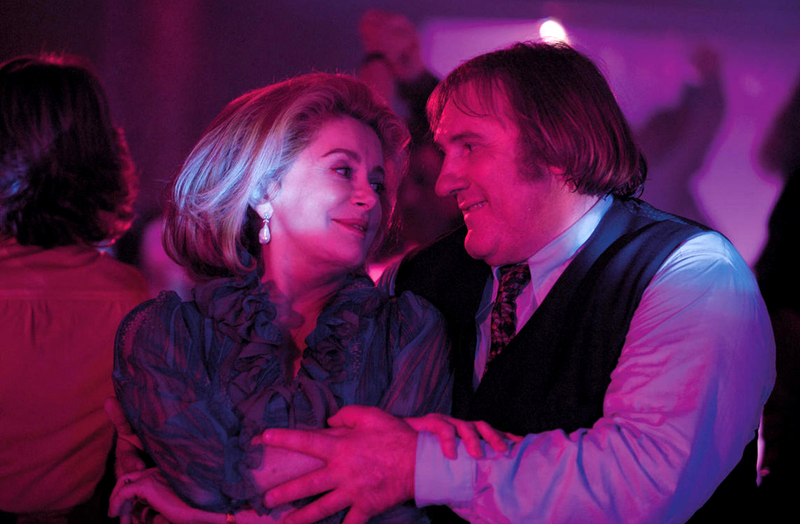 Love Catherine Deneuve as Madame Pujol and Gerard Depardieu as Babin, the leader of the umbrella union. I so rarely find French films that aren't heartbreakingly sad or extremely dramatic, but I LOVED how cute and meaningful Potiche ended up being. See it now, kthanks. 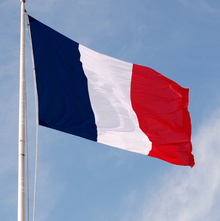 *Every time I watch a French movie, I want to spend the rest of the day speaking French. But. Ok. Sorry. The rest will be in English.